Last updated on December 21st, 2017 at 16:44 PM. This post consists of curated IoT related news and articles that were published in 2017. This will be the last update of the year. The whole Trackinno team wishes you happy holidays and all the best for the coming year 2018! This week’s topics are SaaS, IoT innovations in 2018 and industrial IoT. Bernd Gross writes about how IoT helps companies to enter the SaaS market. Although it is understandable that companies first think about how IoT can improve their in-house operations, the real upheaval that IoT will have is transforming all kinds of companies into SaaS companies. This means companies can offer their customers additional subscription based services. Entering the SaaS market, Gross writes, is enabled by collecting and analyzing data from all of the customers’ connected devices and services based on that data. These kinds of data based services include predictive maintenance, track and trace, and performance management. In his article, Gross gives examples how different kind of companies (e.g. an industrial tire provider) can utilize the strategy. ‣ Read the full article “With IoT, any company can enter the SaaS market” at venturebeat.com. Antony Edwards shares his thoughts about what will happen with IoT in 2018. Here are his top 5 IoT-related predictions. Check the article for further details. ‣ Read the full article “Innovations that IoT will drive in 2018” at internetofthingsagenda.techtarget.com. According to Forbes Insight research, 74% of respondents said asset tracking and management was a large priority for their companies. Assets can include everything from handheld devices, furniture and vehicles to raw materials, parts and large industrial equipment. When armed with near real-time data, including asset location, environment and health, companies can optimize how assets are used and deployed to help maximize return on investment. ‣ Read the full article “5 Areas Where The IoT Is Having The Most Business Impact” at forbes.com. The year is coming to an end and you can see more and more articles trying to predict how IoT will evolve next year. This week I’ve included an article that I think is the best one on this topic so far. Also, there’s a good article about the differences between IoT and IIoT. What is the difference between IoT and Industrial IoT? An article written by Benson Chan discusses the key differences that buyers and products managers must know when planning IIoT solutions. While many people assume functionality distinguishes IoT from IIoT, the reality is not that simple. A consumer IoT device may have the same functionality as an IIoT device, and still not be considered an industrial product. According to Chan, the parameters that differentiate IoT from IIoT include security, interoperability, scalability, precision and accuracy, programmability, low latency, reliability, resilience, automation, and serviceability. ‣ Read the full article “IoT vs. Industrial IoT: 10 Differences That Matter” at iotforall.com. In his article, Maciej Kranz shares his top 10 IoT predictions for 2018. There have been a lot of articles predicting what will happen in the field of IoT in 2018, but I think this is the best one so far. Why? Because it presents more detailed predictions than most of the articles on the same topic. Kranz’s top predictions include revolution of data analytics, the rise of “co-economy” and converging IoT devices with machine learning, AI, fog computing and blockchain technologies. It’s been a long time coming for enterprise IoT, but I am confident that 2018 will be a pivotal year. ‣ Read the full article “10 Enterprise IoT Predictions for 2018” at iotbusinessnews.com. Here are this week’s topics: NB-IoT, the state of IoT, and predictions for 2018. According to Mobile Europe, Finnish operator DNA has extended its NB-IoT coverage to cover 85 % of Finland’s population. Geographically this means around half of the southern, western and central parts of the country. The NB-IoT service area will continue to expand based on customer needs. ‣ Read the full article “DNA goes big on NB-IoT months after tech’s launch” at mobileeurope.co.uk. Jeff Dorsch writes about the current state of IoT. Even though the number of connected devices continues to surge, there are still many things that remain problematic. One of the problems Dorsch mentions is that securing all connected devices at the edge is a nightmare for IT. Also, as in the future we can stick sensors on anything, the problem will be who gets to be the manager and decide what matters. Furthermore, even the definition of what IoT encompasses is not clear yet. While there are still big issues to solve, such as security and potentially who manages which pieces, it’s hard to argue with double-digit growth projections and the creation of entirely new markets that never existed before. ‣ Read the full article “State Of The IoT” at semiengineering.com. Andrew Morawski writes about five upcoming trends for IoT in 2018. For example, he writes that IoT technology transforms from “nice to have” to a critical asset. Also, LPWAN technologies will open up the IoT market for applications that have not benefited from connectivity before. These trends will impact how and where organizations implement IoT, which IoT technologies they adopt and how the technology will be integrated into existing systems and services. ‣ Read the full article “The internet of things in 2018: Five trends for the year to come” at internetofthingsagenda.techtarget.com. This week’s topics are transportation, production and supply chains. Kyle Connor writes in his article about how IoT will transform transportation in 2018. For example, cities, states and transportation agencies will start to utilize the data gathered from connected infrastructures and vehicles instead of just storing and securing it. The data can be used, e.g., to provide navigation systems with weather data for safer and more efficient travel. Another thing Connor mentions is that we’ll see broader uses of Mobility as a Service (MaaS). The use of MaaS across different modes of transportation will provide passengers with a seamless travel experience–from bikeshares, to rideshares, to mass transit systems and more. Also, Connor points out that as people will move toward MaaS and more electric cars will hit the roadways, governments will have to look for other revenue streams than gas taxes and other forms of vehicle-related recurring revenue. Connor also predicts the use of AI and Machine Learning will become much more relevant in the transportation sector, and that transportation agencies and governments will expand their partner ecosystems to be able to deploy technologies that impact roadways and citizens’ lives. Check the article for further details. ‣ Read the full article “IoT Predictions that will Transform Transportation in 2018” at iotbusinessnews.com. Adam C. Uzialko writes about how IoT is changing production and supply chains, and what are the major challenges and barriers. One of the barriers is the cost of implementing a full scale IoT solution. However, as the technology evolves the costs of sensors will fall making IoT solutions more affordable. Another challenge, Uzialko writes, are data silos caused by the lack of interoperability. This, in turn, can be caused by technical challenges as well as the unwillingness of companies to work together. Combining IoT with blockchain could come to the rescue so that the companies won’t have to expose their proprietary information to one another. The last challenge Uzialko mentions is obvious: security. ‣ Read the full article “The Internet of Things is Changing the Entire Production and Supply Chain” at businessnewsdaily.com. This week’s topics are net neutrality, construction, and insurance. How the end of net neutrality can affect IoT? In the USA, the Federal Communications Commission has announced it plans to repeal net neutrality (regulations that ensure equal access to the internet). The announcement was made on the 21st of November. Fredric Paul shares his thoughts about how the end of net neutrality can affect IoT. First of all, if carriers can block, throttle, or delay traffic at their discretion, they could very easily decide to impede IoT traffic in a variety of ways, for a variety of reasons. Unless, perhaps, users paid a premium for fast, timely deliver of their IoT data or agreed to buy IoT devices only from the carrier or its approved partners. The new rules, Paul writes, will likely have the most effects on small businesses that do not have the resources to pay for premium net access. As a result, the data from their IoT devices might not be delivered in a timely fashion or at all. In the end of the article, Paul writes that IoT runs on the free exchange of data, and that even if the freedom would not disappear immediately upon the end of net neutrality, it is likely to erode over time. ‣ Read the full article “Will the end of net neutrality crush the Internet of Things?” at networkworld.com. On construction sites, IoT and sensor-based technology can create huge advantages related to predictive maintenance, cost reduction and worker safety, writes Zachary Rudzki. Predictive maintenance can be enabled by attaching suitable sensors on the equipment. The sensors generate data which can be utilized in maintenance scheduling. This way the equipment maintenance can be conducted at the right time: when necessary, but before anything breaks down. Predictive maintenance dramatically reduces maintenance costs compared to reactive maintenance. AR/VR technology can also be utilized to reduce costs on construction sites, Ridzki writes. It allows project managers to have detailed insights into the project and detect problems before they impact the project on a larger scale. Worker safety can be improved using biometric wearables that monitor a worker’s heart rate and temperature among other vital signs. Also, a team at MIT has come up with a connected safety shoe that detects if a worker is lifting a load above the recommended weight. Rudzki also writes about how AR/VR and drones can improve worker safety. ‣ Read the full article “How the construction industry is using IoT and sensor technology” at internetofthingsagenda.techtarget.com. Tim Sandle writes in his article about how IoT is influencing insurances. IoT can be applied to a number of areas of insurance, where insurance companies are allowed to collect data and process it. One such area is personal health, where those who agree to wear devices and share data with insurance companies can get lower insurance premiums. The same idea can be applied to vehicles. Those who agree to use and share data from vehicle telematics devices can see lower car insurance costs. Sandle gives more examples in his article, including farming and smoke detectors. ‣ Read the full article “How the Internet of Things is disrupting insurance” at digitaljournal.com. Here are this week’s articles. The topics are predictions for 2018 and future commute. This week there have been many articles about what will happen in the field of IoT next year. Here are two such articles, both looking at the subject from a different angle. ‣ Read the full article “How Is 2018 Shaping Up for IoT?” at iotbusinessnews.com. ‣ Read the full article “8 IoT Challenges to Tackle in 2018 & Beyond” at iotevolutionworld.com. Do you commute to work? Here’s a nice article written by Barry Ensig that describes what the future IoT-enabled frictionless commute looks like. In the end of the article, he also writes about how to make the future commute a reality. We need IoT-enabled sensors, cameras, digital signage and other technologies in place throughout our roads, railways, cities, parking garages, mass transit systems and more to allow these vehicles to share, analyze and act upon real-time data. ‣ Read the full article “How IoT will drive the future connected commute” at internetofthingsagenda.techtarget.com. Here are this week’s hand-picked articles. The topics are productivity, future-proofing and predictions for 2018. IoT’s positive impact on business efficacy has been proven by many companies already, writes Gary Eastwood, and it is vital for businesses to start leveraging IoT immediately in order to stay competitive. It’s a brave new interconnected world out there, and those who don’t learn how to manipulate the IoT for their own success will quickly find themselves left in the dust. Eastwood writes that a good place start is to apply IoT to your logistical issues. However, IoT can improve business productivity at all levels, and the important thing, Eastwood emphasizes, is to get started right now. Look what has worked for others and bring in the right people to develop the right IoT solution for your company. You’ll see IoT’s invaluable potential in the long run. Read the full article “How to use the IoT for continuous business improvement” at networkworld.com. There are 4 key considerations when future-proofing smart devices, according to an article at IoT For All. First of all, the device should provide a solution to an actual problem, i.e. be meaningful. “Do consumers really need things like a smart fork?” the article asks. Secondly, the device should be user-friendly. The so-called “plug & play” approach is crucial in future-proof devices. Thirdly, the smart device should be secure. Developers should be aware of all kinds of hazards. Lastly, the device should be compliant with standards and regulations, which also vary between different countries. Read the full article “4 Key Considerations When Developing Future-Proof Products” at iotforall.com. ‣ What will happen to IoT in 2018? Forrester Research recently released a report “Predictions 2018: IoT Moves From Experimentation To Business Scale”. Gil Press wrote a good summary of the report. You can read the summary by clicking the link below. Read the summary “10 Predictions For The Internet Of Things (IoT) In 2018” at forbes.com. This week’s articles are about IoT applications, smart offices and customer experience. Every new technology brings talk about a killer app that will solve all the problems, writes Daniel Elizalde. However, there will be no such app in the case of IoT, because its application areas are so vast. Instead, any company can create the right killer app that solves the need of their specific customer, in their specific industry, and vertical. Elizalde shares four real-world examples where companies have created IoT solutions for their customers’ problems. Read the full article “Why There’s No Killer App for IoT” at iotforall.com. IoT has the potential to ease employees workloads, save money on overhead and gather valuable data to improve company operations, writes Gary Eastwood. The options IoT provides can seem overwhelming and it might be difficult to decide where to start. Eastwood writes it is a good idea to start small and expand it from there: you don’t have to equip the whole office building at once. When implementing IoT solutions at the office, the employers should keep their employees calm and updated on their future plans, Eastwood writes. Many workers fear IoT is going to endanger their jobs, and there are probably security concerns, too. Read the full article “How IoT is shaping the smart office of the future” at networkworld.com. IoT has the potential to become one of the main drivers positively impacting customer service, writes Marne Martin, the CEO of ServicePower. IoT, especially when combined with AI, enables more personalized customer service. Companies can understand customers’ needs and behavior better and provide service proactively. IoT provides companies with tools that can help address issues even before the customers notice them. This makes it possible to easily facilitate service calls, route jobs to the best-qualified and available agent or technician, and deliver customer satisfaction surveys following onsite or machine-to-machine cloud-based equipment servicing. IoT also helps companies to better understand their own businesses by collecting a vast amount of data. By utilizing the data, company operations and the speed and quality of customer service can be improved. Companies can concentrate on doing more of what works and improving areas that don’t. Read the full article “How the IoT Is Changing the Customer Experience and Improving Competitive Advantage” at iotjournal.com. This week’s topics include location technologies, self-healing machinery, and supply chains. Kipp Jones gives tips and talks about best practises for choosing the best location technology for your new IoT-connected device. As any seasoned location service provider will tell you, many different device configurations and use cases exist, ranging from button-sized temperature sensors to pallet trackers to refrigerators. The challenge is that every possible use case and device configuration is encompassed within the broad category of IoT. Before making a decision, there are many things to consider. First, you should determine your requirements for the location information: how frequently you need the location, how much power you can afford to use to acquire the location, how accurate the information has to be and so on. After answering the first set of questions provided in the article, you can move on to asking questions from your potential location service provider. These questions include what technologies are supported, what chips/sensors you need, and how much the solution will cost. Read the full article “Location + IoT: Tips and best practices for getting started” at internetofthingsagenda.techtarget.com. Patrick Nelson writes about a research project where machine-embedded IoT sensors along with the data they produce will allow machinery to fix itself automatically. The self-healing technology is based on mathematical models called Bayesian networks that compute probabilities. Along with that, a part of the algorithm makeup is a learning software that analyzes how the machine should run and how it actually is running. Read the full article “The Industrial IoT will give us self-healing machinery” at networkworld.com. Kelly Frey writes in his article how IoT can help optimize supply chain processes. Firstly, connecting vehicles, equipment and devices with IoT technologies can provide a full picture across the supply chain. Instead of seeing a job status such as “in transit”, the supply chain managers can see an item’s exact location. Another thing Frey points out is that using IoT can increase collaboration across business areas by providing decision-makers with real-time job statuses and breaking down silos. This in turn can help identify bottlenecks earlier, for example. Frey also writes about how IoT can help optimizing operations and assets, delivering better customer service, and ensuring compliance. Read the full article “IoT ushers in a new era for supply chain fulfillment” at internetofthingsagenda.techtarget.com. This week’s topics include data ownership, smart cities, and digital transformation. ‣ Have you thought about who owns your data? The gist is that industrial equipment now captures vast amounts of performance data. Who owns that data? The manufacturer of the equipment, the maintenance provider, or the company that bought it? All the parties have their own uses for the data, and the data ownership should be agreed on early in the process so that unpleasant surprises can be avoided. For example, the article mentions a SaaS company charging an annual fee so the customer can access their own data via API. Read the full article “Do you own your data and have free rein? The answer in an Internet of things, cloud world may surprise you” at zdnet.com. By the way, as Trackinno’s customer, you’ll be the one owning the data. We provide IoT solutions for asset tracking. If you’re interested, read more about Trackinno’s IoT solutions here. ‣ Are smart cities boring? Colin O’Donnell writes in his article why smart cities are boring for dwellers. He writes the smart city applications implemented so far are often related to city operations rather than to something the dwellers can directly benefit from. So it’s understandable the citizens have not been wowed yet. According to the article, smart cities are just a step along the road to truly digital cities. Cities will go through three phases before they fully realize the potential of the internet and deliver real benefits to the citizens. 1) They first need to collect data about their environment, 2) They need to process that data, and finally, 3) They need to take corresponding real-time action. The third step, as the article calls it, is responsive cities. Read the full article “Smart cities are boring. Give us responsive cities.” at techcrunch.com. The article discusses the findings of the survey in more depth and also gives advice on how to overcome the challenges. Read the full article “Top 5 Digital Transformation Challenges (and How to Overcome Them)” at iotforall.com. This week’s topics include machine learning, ERP systems, and mainstreaming IoT. Majid Ahmed writes in his article how machine learning is helping IoT grow. Firstly, machine learning helps make the enormous amount of data produced by IoT devices useful. Secondly, machine learning algorithms can be used to make IoT more secure. Lastly, the article states machine learning is expanding the scope of IoT. One of the greatest boons that machine learning and its algorithms have delivered to the IoT is how easily it integrates into the IoT’s platforms. The rapid proliferation of mobile devices around the globe, for instance, is one of the key drivers of the IoT, and machine learning often fits neatly into the world of mobile device development, programming, and maintenance. Read the full article “3 ways machine learning is revolutionizing IoT” at networkworld.com. Joe McKendrick writes in his article about a recent IFS survey “Industrial Internet of Things (IIoT) and Digital Transformation” of 200 marketing and contracting managers. The study found out only 16 % consume IoT data in ERP software. That means 84% of industrial companies face a disconnect between data from connected devices and strategic decision making and operations, limiting the digital transformation potential of IoT. In his article, McKendrick summarizes the survey’s observations about the challenge. Read the full article “The rising tension between IoT and ERP systems” at zdnet.com. Manuel Nau writes in his article about three industries poised to take IoT mainstream: health care, criminal justice, and education. The article gives a short explanation and examples of each case. Read the full article “Three Industries Poised to Take IoT Mainstream” at iotbusinessnews.com. Here are this week’s IoT news and articles. I’ve also included a video taken at the Subcontracting Trade Fair, where our CEO gave a speech about utilizing IoT in asset management. Watch the video below and find out how IoT can be utilized in asset management.  If you don’t know Finnish, turn the English subtitles on! Sarah Hatfield writes in her article how IoT is impacting spare parts inventory management. Maintaining the right level of spare parts is a challenge to be solved: overstocking is expensive and understocking can hurt customer experience. Forecasting spare parts needs is now tried to be solved with the help of IoT and utilizing an algorithm developed at Massachusetts Institute of Technology Center for Transportation and Logistics. The good news is there’s a new inventory planning algorithm that builds IoT-based failure data directly into the equation. – – By using this methodology and analyzing historical failure data on the entire installed base, businesses can predict the exact spare parts they’re likely to need, when and in what quantity. According to the article, the new spare parts inventory methodology can help reduce stock up to 10 %. Read the full article “IoT’s surprising impact on revolutionizing inventory management” at internetofthingsagenda.techtarget.com. Read the full article “3 ways IoT can drive business value” at networkworld.com. The challenge in IoT is that today’s radio technologies are too expensive for embedding into objects at scale. However, Dr. Joshua Smith, a professor in computer science at the University of Washington in Seattle, has developed a solution for the problem together with his colleagues, Mark Harris writes. The innovation is a low-cost communications system that doesn’t need a battery. It is a so-called “backscatter” system with an antenna that absorbs or reflects radio waves from a transmitter. This creates a faint but distinctive echo of the original signal that can be detected and decoded by a receiver even over significant distances. In my opinion, this was very interesting and I recommend you read the article! Read the full article “How the ‘Internet of Things’ Will Change Everything” at nbcnews.com. This week’s topics include NB-IoT and new chip prototypes. Not yet familiar with NB-IoT (narrow-band IoT)? Jon Gold provides an explanation of the IoT communication standard in a FAQ format. Read the full article “FAQ: What is NB-IoT?” at networkworld.com. Quectel Wireless has unveiled BC68, the world’s smallest NB-IoT module, writes Nicholas Shields in Business Insider. Sounds good, since devices connected to NB-IoT networks tend to be very small themselves (like sensors). Sensors, smart meters, and other small IoT devices normally collect and transmit very small amounts of data only every few hours. NB-IoT meets their low-data requirements inexpensively and without excessive battery drain. Read the full article “New Narrowband-IoT module may be a hit in international markets” at businessinsider.com. Sigfox has demonstrated a prototype of a chip for shipping packages, Peter Sayer writes. The chip could report when and approximately where the package was opened. The best part is, the tracker costs only $0.20. Read the full article “Up next: Disposable IoT” at networkworld.com. Cypress Semiconductor wants to provide a solution for IoT’s battery problem, Dean Takahashi writes. The company has announced a new chip that provides portable IoT devices with low-power Wi-Fi and Bluetooth connectivity. Compared to current solutions, the chip can cut power consumption by up to 70 % in “receive mode” and up to 80 % in “sleep mode”. The technology will make a lot of IoT applications more practical as it enables smaller, cheaper, and more power-efficient devices that can last a lot longer before they have to receive maintenance. Without good wireless, Internet of Things devices are dead on arrival. Read the full article “Cypress enables longer battery life for Internet of Things devices” at venturebeat.com. Here are this week’s IoT news & articles. The topics include smart cities and supply chains. European Lighthouse city Helsinki has reached the implementation stage in a three-year urban transformation project called mySMARTLife. Along with Helsinki, Hamburg and Nantes are participating in the project. The goal is to cut energy use by 10–20 % in the project’s target areas. Read the full article “Helsinki pioneers smart city solutions” at smartcitiesworld.net. Here’s a nice interactive infographic about what the smart cities will look like in the future. Enter your age and see how old you will be when drones start delivering your takeaway food. The number of smart cities around the world is expected to grow exponentially over the next few years and by 2050, 70 per cent of the world’s population will be living in smart cities. See the infographic and read the full article “What Will The Smart City Of The Future Look Like?” at wiser.draytoncontrols.co.uk. Millennial generation will force change across industries and supply chains that serve them, Guy Courtin writes. This is because millennials demand transparency from companies they buy from. Companies have to be able to prove their products are made in a way that reflects millennials’ values, and IoT can help providing the data. With the ability to connect a greater number of objects and light up parts of the supply chain that were otherwise dark, there is no excuse for not knowing exactly what’s going on in your supply chain. This forces brands to make sure they can uphold the high standards of the millennials – the increasingly valuable customer segment. Read the full article “Millennials and the internet of things: A match made in cyber heaven” at internetofthingsagenda.techtarget.com. This week’s IoT news & articles are related to topics very close to our hearts here at Trackinno: asset tracking and mobile app development. PR Newswire writes about Frost & Sullivan’s research on the North American mobile asset tracking market. The mobile asset tracking market is transforming into the mobile asset management market, as tracking asset location will no longer suffice. Now, the success lies in gathering all kinds of data (temperature, humidity, motion, etc.) and utilizing it (via analytics) to create improved and proactive business decisions and processes. The article points out that finding partners with vertical expertise is important for mobile asset tracking providers when expanding growth opportunities. “Vertical expertise is becoming increasingly valuable with solutions, sensors, and reports packaged and tailored to specific industries. For example, temperature sensors become extremely critical as governmental regulation of cold chain goods subject to spoilage or damage increases,” stated Frost & Sullivan Mobile & Wireless Communications Industry Director Jeanine Sterling. The article also lists some disruptive trends in the market, such as hardware enhancements and migrating from 3G to LPWAN. Read the full article “Mobile Asset Tracking Solutions Evolve to Create Business Intelligence and Integration Opportunities” at prnewswire.com. Globalstar Europe Satellite Services Ltd. announced the launch of its new product: SmartOne Solar, IoT Business News writes. SmartOne Solar is a low maintenance IoT device that provides remote monitoring and tracking over Globalstar satellite network. The applications of the device include tracking of fixed and movable assets such as containers, heavy equipment, and vehicle fleets. They can be remotely tracked even beyond the reach of other communication networks. Read the full article “Globalstar Brings the Power of the Sun to IoT Asset Management with SmartOne Solar” at iotbusinessnews.com. The global smart sensor market revenue is expected to reach $81.99 billion by 2024, according to a study conducted by Esticast Research and Consulting. The market was valued at $20.75 billion in 2016, so the change will be significant. ‣ How does IoT impact mobile app development? Gary Eastwood writes in his article that even though innovators of all stripes have tapped into IoT, mobile app developers are the ones making the most use of it. Because of the rapid spreading of mobile phones (especially smart phones) across the world, mobile app developers are provided with the huge opportunity to capitalize on. By making it easier for mobile phones to spread out and connect to one another, the IoT has created huge market-demand for and incentivized even greater investment in mobile phones and the development of apps for them. The article gives an example of a successful company that has tied IoT and mobile apps together: Uber. Because of the countless data streams bringing information to the app from the IoT, Uber is able to offer special, useful information to its customers. Read the full article “How IoT is impacting mobile app development” at networkworld.com. It’s time for some IoT news! This week’s topics include privacy, healthcare, and smart cities. ‣ Who owns your IoT device? This week there was an interesting article published by The Conversation. The article is about IoT devices’ privacy issues and it claims that IoT is sending us back to the Middle Ages. Sounds odd but the comparison makes a lot of sense when explained. The underlying problem is ownership. One key reason we don’t control our devices is that the companies that make them seem to think – and definitely act like – they still own them, even after we’ve bought them. In the article, this situation is compared to medieval Europe, where the king owned almost everything. Read the full article “The ‘internet of things’ is sending us back to the Middle Ages” at theconversation.com. An article published in IoT Business News talks about how IoT is changing nursing. By utilizing smart sensors and wearables, a patient’s health could be monitored by his/her care team. The team then could notice changes in patient’s health even before the patient him/herself. The internet of things allows nurses to be more engaged in patient care while simultaneously reducing the amount of time and energy required to care for each patient. Nurses will be facing a more technology-heavy role in their careers as the field continues to advance. With the help of IoT the focus of care could be redirected from reactive medicine to preventative medicine. Read the full article “The Internet of Things Will Change Nursing Forever” at iotbusinessnews.com. Carrie Ghose writes in her article about how Smart City Columbus deployed its first hardware for public use at Ohio Dominican University. The equipment includes, for example, three car-charging stations and picnic tables with outlets to charge laptops and mobile devices. The solar equipment was donated by DC Solar Freedom Inc., that is also seeking new sites for similar stations. Read the full article “Smart City Columbus debuts first hardware for public use at Ohio Dominican” at bizjournals.com. This week’s articles focus on the industrial internet of things (IIoT) and smart cities. Tim Sandle writes in his article about how to leverage IIoT for fighting world hunger. According to the article the world now wastes enough calories to feed 1.9 billion more people. Where the Industrial Internet of Things can assist with this task is through the use of sensor technologies and real-time data analytics to study food quality, timeliness of delivery, waste, spoilage and recalls. Read the full article “Reducing food waste through the Industrial Internet of Things” at digitaljournal.com. the real value of IIoT will be realized only when Machine Learning (ML) is applied to the sensor data. The article highlights how machine learning augments IIoT solutions by bringing intelligent insights. Read the full article “How Machine Learning Enhances The Value Of Industrial Internet of Things” at forbes.com. Chirag Kulkarni writes in his article about how cities around the world have already utilized IoT technologies to make their cities smarter and better places to live. Even small installments of IoT technology throughout a smart city can create improvements for all citizens to enjoy. Kulkarni summarizes five real-world examples of smart city initiatives in the article. Read the full article “Five small but impactful ways to future-proof your city” at readwrite.com. Here we go again! This week’s topics include estimates for the year 2018, industrial internet of things, and autonomous cars. Majid Ahmed writes in his article about what changes IoT will bring in 2018. The article highlights five areas including retail and healthcare. It’s never easy to accurately predict the future, and the true capabilities of the Internet of Things may not yet be realized. As consumers and corporations alike embrace the IoT’s world-changing impact on global commerce and lifestyle, however, it’s hard to imagine the IoT doing anything but growing to new and greater heights in 2018. The article also points out that not all the forthcoming trends are positive. For example, the article predicts that IT experts will be pushed to their limits by new network security challenges in 2018. Read the full article “5 IoT trends that will define 2018” at networkworld.com. According to industry experts exhibiting at IAMD next year, now is the time to develop a thoughtful IIoT strategy with clear entry and expansion points. You can bet your competition is building their IIoT strategy. At the same time, organizations need to amass data intelligence to understand what problems they want to solve with IIoT and need to make sure their organizations are secure. Read the full article “Has IIoT Become the Norm Across All Industrial Sectors? Industry Experts Say ‘Absolutely’” at industryweek.com. According to an article written by David Curry, Finland could be the first country to have a regular self-driving shuttle service. Tests for the shuttle have been ongoing since August 2016 and the service is aimed to debut this fall. The autonomous shuttle aims to reduce car ownership by making public transportation quick, direct, and safe. Finland is already promoting several other projects that look to improve public transportation options and reduce carbon emissions. Read the full article “Finland prepares for self-driving shuttle service this fall” at readwrite.com. Here are this week’s hand-picked IoT news and articles. The topics are smart cities, self-driving cars, and connectivity. According to an article written by Chris Penrose, nearly 25 % of citizens in the top 100 metropolitan areas of the U.S. are over the age of 65 or living with disabilities. That is why, he writes, the smart city products and services should incorporate the needs of these people and make the cities more accessible for them. From the private and public sectors to civil organizations, community groups and social entrepreneurs, we all play a vital role in advancing an inclusive vision for smart cities. By integrating aging and accessibility considerations from the ground up, we can build more inclusive cities that allow us all to connect to good. In the article, Penrose introduces us to four keys to unlocking more inclusive smart cities. Read the full article “Four keys to unlocking more inclusive smart cities” at internetofthingsagenda.techtarget.com. David Curry writes in his article that Intel will deploy 100 self-driving cars in Europe, Israel, and the United States by the end of the year. Intel’s goal is to develop an autonomous car technology that can be deployed anywhere, which is why they need to test their cars around the world. Read the full article “Intel to deploy 100 self-driving vehicles worldwide by end of year” at readwrite.com. The article presents the key findings of the report in a few bullet points. Read the full article “LPWA (Low Power Wide Area) Networks Ecosystem Market is Expected to Reach USD 27 Billion by 2020” at tallahasseescene.com. In his article, Patrick Burns writes about the challenges of wireless IoT connectivity in indoor–outdoor applications. At this time, IoT connectivity providers are divided to compete in two separate arenas: indoor or outdoor. The indoor IoT arena is typically dominated by low power, local area networking (LPLAN), but when it comes to the outdoor IoT arena, new competitors rely on long range, low power wide area networking (LPWAN) technologies. What about the use cases requiring both indoor and outdoor positioning (e.g. supply chain)? Burns provides a few potential solutions for the combined indoor–outdoor IoT arena in the article. Read full article “Indoor IoT and Outdoor IoT – They Need to Become the Same” at iotforall.com. This week’s topics include product design, IoT strategy, and asset tracking in healthcare organizations. In his article, Chris Matthieu shares a few principles for IoT product design. Matthieu writes that what engineers often forget is to look at things from the consumer’s perspective. The end-users don’t care about the technical challenges that had to be solved before they got their hands on the solution. For them, the user experience (UX) is the most important thing. Adding features is easy; simplicity is hard. Read the full article “A design approach for better IoT experiences” at internetofthingsagenda.techtarget.com. Lately there have been a couple of studies that found out companies have had disappointing results with their IoT implementations. For example, a study by Cisco found that 30 % of completed IoT projects were not considered a success. In his article, Maciej Kranz shares his experiences about how those who succeeded in their IoT implementations changed their business approaches. Read the full article “Success with the Internet of Things Requires More Than Chasing the Cool Factor” at hbr.org. Another article about IoT strategies is written by Bob Violino. In his article, he writes about the advice IT leaders who have launched IoT projects give to those that are just getting started with IoT. A winning internet of things strategy requires strong leadership, clearly defined roles and a dedicated team. In total, the article points out five valuable recommendations for an effective IoT strategy. Read the full article “5 secrets of highly effective IoT strategies” at cio.com. ‣ How healthcare organizations can benefit from asset tracking? Elizabeth O’Dowd writes in her article about the advantages of connecting medical devices to the network. In addition to transmitting clinical data, Internet of Medical Things (IoMT) devices allow asset tracking. The healthcare industry can benefit from IoMT asset tracking because it can potentially save money and help clinicians locate the items they need quickly, which can save a patient’s life in an emergency situation. According to the article, healthcare organizations around the world lose millions of dollars every year on misplaced, lost or stolen high-value items. In addition, both employees and customers suffer from lost productivity and poor experiences. Deploying a suitable asset tracking solution ensures the needed assets are always available when needed. Read the full article “Asset Tracking Significant to IoMT Availability, Security” at hitinfrastructure.com. This week’s topics include smart cities, industrial IoT, and predictions for asset tracking IoT device market. Jenny McGrath writes in her article about how the city of Austin is bringing the human touch in smart city planning. While affluent professionals talk about greennes and reducing carbon footprint, the problems of more underprivileged lie elsewhere: being able to support their families. The city of Austin wants to utilize technology in a way that benefits communities usually left behind. Read the full article “How Austin brought the human touch to smart city planning” at digitaltrends.com. Justin Bean writes in his article about how important it is for cities to share insights about their smart city solutions with one another. As cities find new ways to utilize smart technologies to help their own residents, they’re also tackling issues that impact citizens beyond their borders: transportation, public safety, and pressing social challenges like homelessness. When cities are empowered use such technology to solve local issues, and subsequently share their successes with other cities, we will have the capacity to address global challenges collectively. Sharing best practices helps other cities to avoid pitfalls that could hinder the adoption of smart city technologies. Also, cities that have not added significant IoT capabilities can utilize these insights to get started on their own smart city initiatives. Read the full article “Smart cities have the ability — and responsibility — to tackle social issues” at readwrite.com. Conner Forest writes in his article about a recent study by Zebra Technologies. 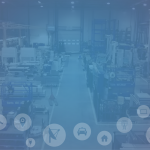 The study found out that 64 % of manufacturers believe their factories will be fully connected with the latest IIoT technologies by 2022. Read the full article “Industrial IoT: 64% of manufacturers will have fully-connected factories by 2022” at techrepublic.com. Business Insider writes about a report conducted by Mobile Experts. According to the report, asset tracking IoT device market will triple by 2022. The report covers multiple vertical markets and technologies (incl. Bluetooth, UWB, Wi-Fi, 802.15.4, LPWA, 2G, LTE, NB-IoT, 5G, Satellite, Infrared, Ultrasound, NFC, and RFID) are evaluated for each case in detail. Read the full article “Asset Tracking IoT Device Market to Triple by 2022” at markets.businessinsider.com or request access for the report at mobile-experts.net. See also: 5+1 Asset Tracking Technologies: Which One to Use for Your Business? This week’s IoT News & Articles post will be a bit different: we picked a theme! This post will be entirely about Smart Cities. ‣ How Smart City initiatives really impact the lives of residents? Here’s an interesting article (written by Chris Bousquet) about a study of how smart city initiatives really affect the lives of residents. The study is available for purchase at www.sciencedirect.com. Many have theorized that smart city initiatives can improve residents’ lives. However, the authors of this study actually went directly to residents to ask about it. The study was carried out in Taiwan, where many cities have pursued smart city initiatives. The study concluded that the more participants used smart city services, the higher quality of life they achieved. This finding justifies the implementation of smart city technologies as initiatives with real effects on human lives. Read the full article “From Research to Results: The Substance Behind Smart Cities” at datasmart.ash.harvard.edu. Jason Shueh writes in his article about a recent smart city market report. The report found that the market reached $342.4 billion in 2016 and is projected to more than double by 2021. The estimation for 2021 is $774.8 billion. The increase equates to an overall 17.7 percent growth rate. But despite this rapid growth, researchers estimate it will be years before the smart city sensor systems, predictive analytics tools and energy efficient buildings now being purchased become ubiquitous technologies. Read the full article “Report: Smart city investment will double by 2021” at statescoop.com. Jackie Snow writes in his article about how smart cities have developed through the years. According to the article, smart city 1.0 was born at the start of the financial crisis in 2008. At the time, residents were stuck with upside down mortgages, and many cities launched programs to make the communities more livable. The first tentative smart city projects included smart LED streetlights and open data portals. If those projects were smart cities 1.0, the current smart cities 2.0 relies less on this model and more on tackling projects holistically. This “second version” of smart cities is still developing, but now apps, IoT and connected sensors are defining the types of projects and pilots in the works. How about the smart cities 3.0? There is no consensus on when and what they will be, but Snow provides some estimates in the article. Read the full article “The progression toward smart cities 3.0 is ‘an evolution, not a revolution'” at smartcitiesdive.com. This article written by Eleanor Cummins introduces six real-world smart city projects. Despite budget crunches and bureaucracy, cities around the world are finding ways to collect data, build digital networks, and make urban spaces downright genius. The projects include, for example, community microgrids and data-collecting dump trucks. Read the full article “6 Futuristic Projects That Every City Should Adopt” at inverse.com. Here are this week’s hand-picked IoT News & Articles. Topics include the dawn of a “hardware renaissance”, a couple of IoT surveys, and soft fabric sensors. Vishnu Andhare predicts in his article, that we are at the dawn of a “hardware renaissance”. For many years now, the attention has been on software, which, according to Andhare, is about to change. Thanks to IoT industry, the underlaying hardware is starting to get much more attention. While apps have been the sexier story in recent years, hardware is still exciting because, unless we live in the Matrix, we still need physical technology to interface with the world. Hardware startups are now looking like the software startups of the previous digital age — with the power to likewise eat the world. Read the full article “Is IoT taking us back to the garage? The ‘hardware renaissance'” at internetofthingsagenda.techtarget.com. According to a recent survey commissioned by Schneider Electric, facility managers are actively exploring IoT possibilities, such as intelligent analytics, to improve the performance of the buildings they manage. Some 300 US-based facility managers were polled in the study. The vast majority (90 percent) of facility managers questioned said they expect to see connected systems improving smart, productive and profitable operations while delivering better value and sustainability. However, only 15 % of the managers said they fully utilize predictive maintenance tools and 50 % categorized themselves as reactive rather than proactive. Read the full article “Survey: Facilities managers look to IoT for building performance boost” at internetofbusiness.com. Stuart Corner writes about a global survey commissioned by Inmarsat, a satellite operator. According to the study, IoT is now the ‘top driver’ of digital transformation and the first priority for 92 % of organizations. The study, which focussed on enterprise applications of IoT, also found machine learning (38 percent of respondents, robotics (35 per cent), and 3D printing (31 percent) to be key requirements for effectively delivering digital transformation for business. Read the full article “IoT now the ‘top driver’ of digital transformation” at iothub.com. Combining clothing and IoT is challenging: it’s difficult to make electronics that can survive all the wearing, washing, folding, etc. Now, Harvard’s Wyss Institute has developed a layering method to make soft fabric sensors. It’s quite basic, in a way: a material sandwich with layers of conductive fabric above and below a filling of silicone. When the fabric stretches, the silicone gets thinner and the conductive layers get closer together, changing their capacitance and producing a different electrical signal. The method is introduced in more detail in the video below. Read the full article “These stretchy, durable sensors could be woven right into clothing” at techcrunch.com. A curated list of the latest IoT News & Articles is here again! Topics this week: challenges of UX in IoT, how IoT empowers AI, and flood forecasting with LoRaWAN sensors. ‣ What are the challenges in creating a good user experience in IoT? Here’s an interesting article about the challenges in creating a good user experience in IoT. The article is written by Daniel Elizalde, who also writes a blog called “Training for IoT Product Managers” on his website. Naturally, the article shared here is also written from the product manager’s point of view. Creating a good user experience in IoT is hard. There are more layers of technology, more users to please, and more teams to coordinate than ever before. What makes this article particularly interesting are the real-world examples introduced: both consumer and industrial IoT products are covered. Read the full article “Why It’s So Hard to Create a Good User Experience in IoT” at iot-for-all.com. Scott Noteboom writes in his article about how the “virtual world” of AI and the “real world” in which we live can be connected. Read the full article “IoT sensors empower the senses that bring AI to life” at readwrite.com. A six-day IoT bootcamp was held at the Massachusetts Institute of Technology (MIT) recently. Rene Millman writes in his article about a group of students from Turkey who came up with an interesting idea: an early warning system for flash flooding. Every year, flash floods cause injury and death in Turkey, along with significant damage to property and infrastructure. On the basis that preparation for those floods is key, the MIT bootcampers recognised that it’s important to figure out when and where they are most likely to occur. The solution is based on sensors that detect water-level and utilize LoRaWAN network. Read the full article “MIT bootcamp participants develop flood prevention system” at internetofbusiness.com. Here’s this week’s collection of hand-picked IoT News & Articles. The topics include IoT platforms, future-proofing IoT infrastructure, startups, self-driving cars, and… kangaroos? Well, you’ll find out soon enough. ‣ What to Consider When Choosing an IoT Platform? Usually, IoT projects start small (with a proof-of-concept etc.) but after the use case has been validated, the platform has to be able to scale fast. In the article, Penrose lists six things to consider when choosing IoT platform. These include, for example, connectivity, data management, and security. Read the full article “IoT platforms: Building a foundation for the future” at internetofthingsagenda.techtarget.com. The fast evolving nature of IoT technologies and solutions presents a dilemma for buyers. Even though many advantages can be achieved with IoT solutions bought today, buyers have to deal with the risk of solutions facing obsolescence in the (near) future. Future-proofing is a solution lifecycle management strategy. It is a continuous process to maximize solution flexibility and options, while making deliberate choices and managing risk. The article describes a three-step process to future-proof your IoT infrastructure and how to deal with obsolescence. Read the full article “How to Future-Proof Your IoT Infrastructure Investment” at iot-for-all.com. ––my first guidance to startups is to make sure you have a deep understanding of your customer’s industry, priorities and business challenges. And specifically, you need to understand your customer’s role within the company. Read the full article “How Startups Can Be Invited to the Big IoT Party” at entrepreneur.com. Volvo has been testing its self-driving technology in Australia since October 2015 but the unique way in which kangaroos move is confusing the “Large Animal Detection” feature. In order to avoid colliding with kangaroos, Volvo has sent its safety experts to study their roadside behavior. Read the full article “Kangaroos are confusing Volvo’s self-driving technology” at iottechnews.com.